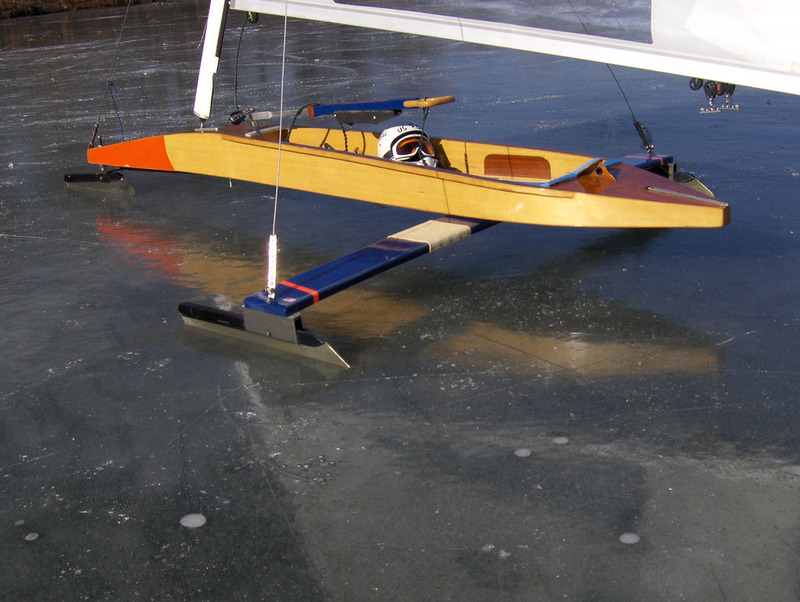 An ice boat is a machine with similar design as a sail boat, but fitted with skis or skates and designed to run over ice. 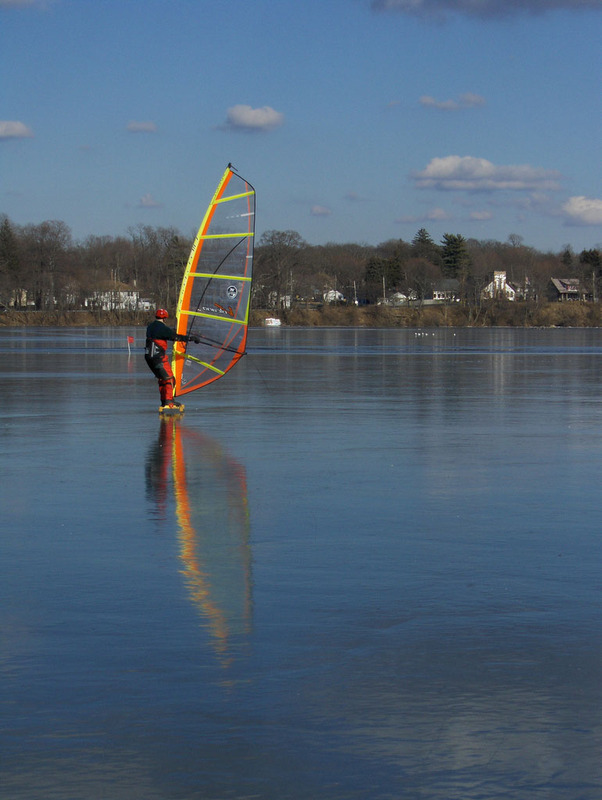 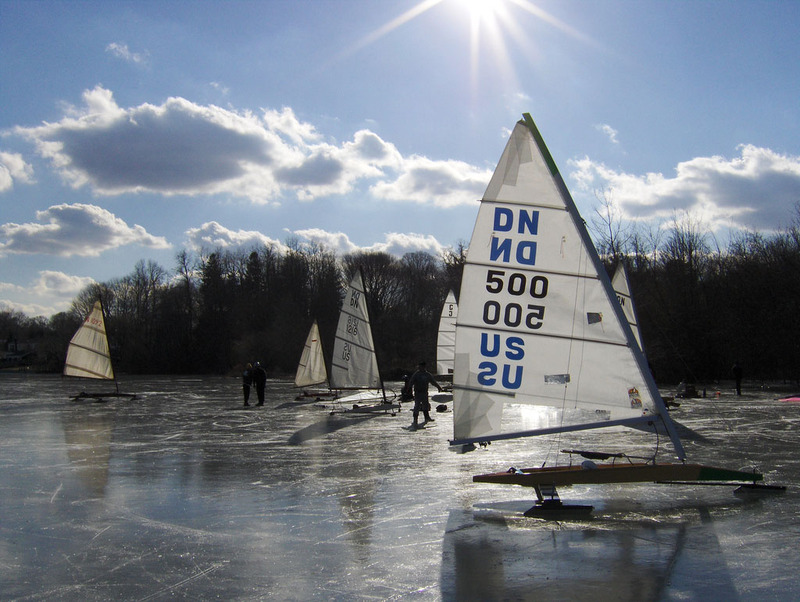 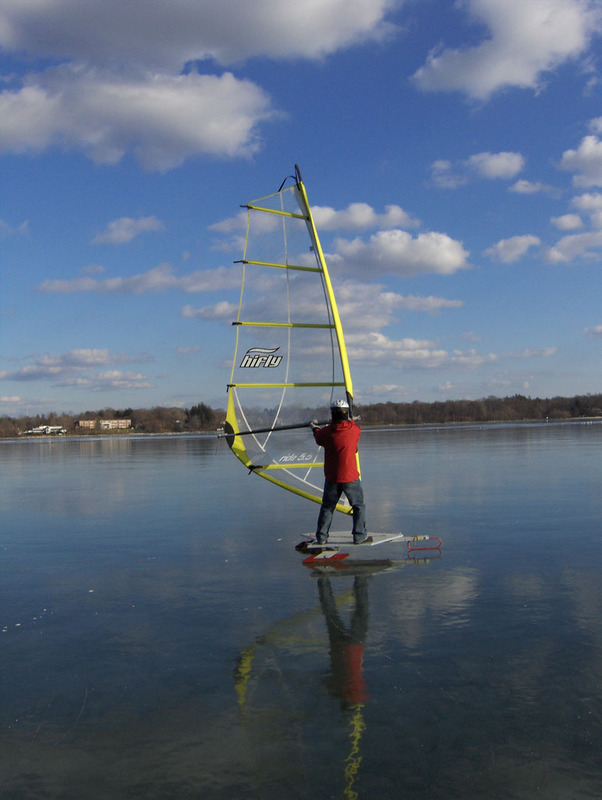 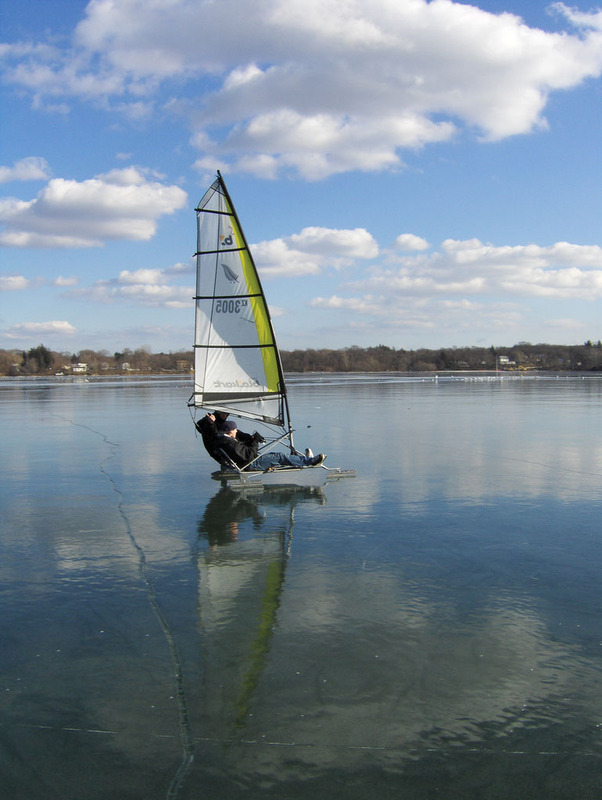 Ice yachting is a combination of sailing and racing. 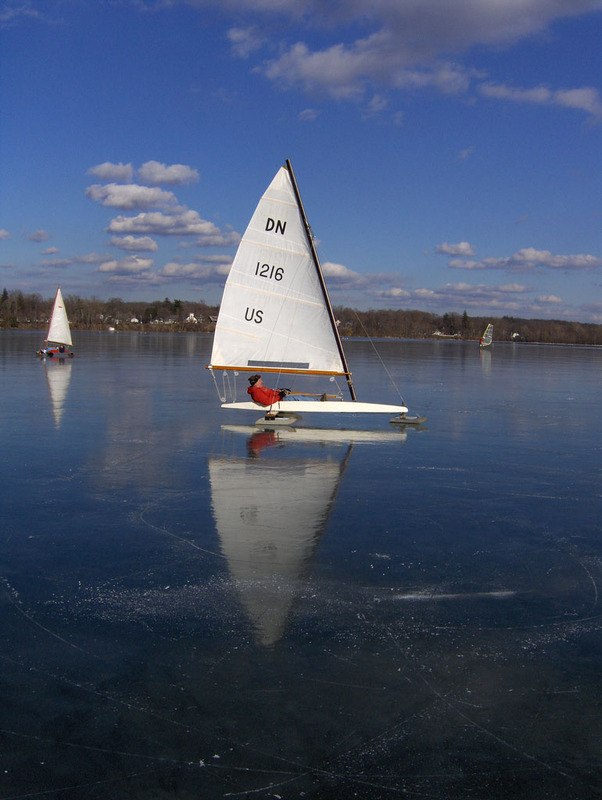 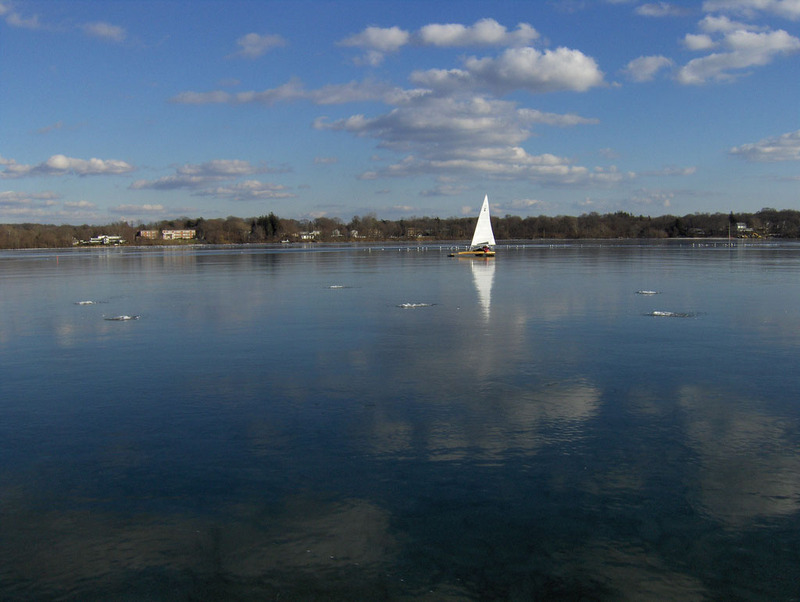 Ice boats fly with power of wind over the lake. 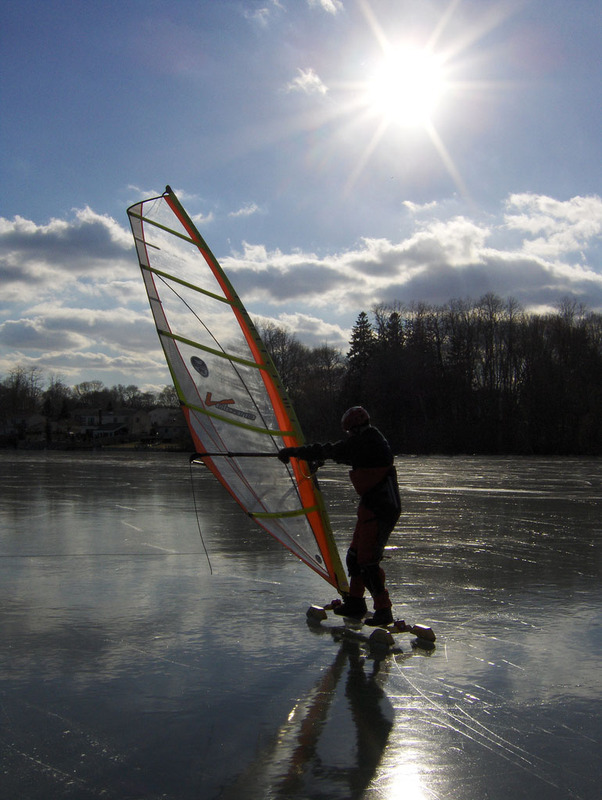 The blades can reach speeds of 120 – 140 km/h. 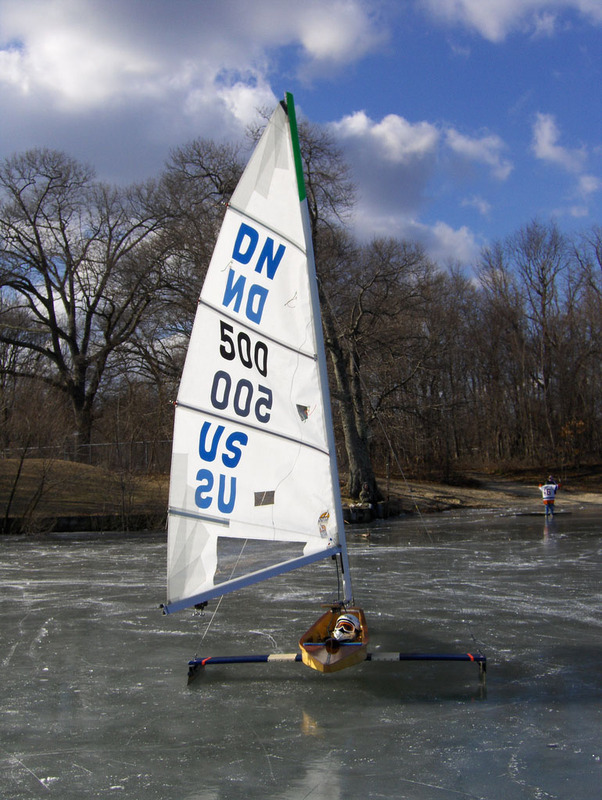 The ice yachting races usually consist of some rounds, up and down, with a different distance between the marks.